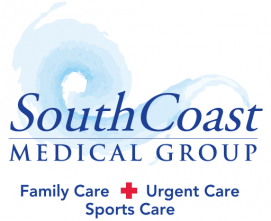 South Coast Medical Group has always provided the best sports medicine treatment in the South Orange County area. Our resident sports medicine expert, Dr. John Cheng, has helped thousands of patients with sports-related injuries. Concussions, a potentially serious injury, are one of the injuries he frequently sees, particularly from young athletes. Unfortunately, even children can be injured with a concussion that adults may not immediately recognize. Dr. Cheng, has provided answers to frequently asked questions that parents have about concussions. Dr. John Cheng, M.D. : A concussion is a brain injury that may be caused by minor or major trauma to the head. Concussions usually occur by a direct blow to the head, face, neck, or anywhere on the body that transmits to the head. What are some warning signs to look out for to know if your child has had a concussion? Dr. John Cheng, M.D. : There are a number of warning signs to look out for. If your child looks dizzy, has a blank stare, or seems confused then those are signs of a concussion. Children may also be clumsy, answer questions slowly, slur their words, or even have a change in personality. Be sure also to notice if your child is irritable or unable to remember events. If a child does come into South Coast Medical Group with a concussion, how exactly is this type of injury treated? Dr. John Cheng, M.D. : Our team of doctors and medical professionals at South Coast Medical Group takes a proactive approach to treating concussions. We use our Best Practice Protocols to prevent any additional head injuries by strong recommending the child not participate in any sports or physical activity. It’s also important that the injured child avoid sensory stimulation. This includes watching TV, using computers, phones, tablets, and even reading since the brain needs time to rest and recover. We’ll need to see the child for multiple visits to see what symptoms are still there and how the child should gradually return to their normal activities. With the right amount of monitoring, rest, and recovery, the child will be able to return back to school safely and can begin playing sports again. If the child suffers from headaches caused by the concussion, then we recommend they take Acetaminophen, which is commonly sold as Tylenol, but the child shouldn’t take this for more than a few days after the concussion. Is a concussion an injury that should be treated in an urgent care center or can parents just wait and schedule an appointment with their child’s primary care doctor? Dr. John Cheng, M.D. : We recommend that parents take their child to urgent care if they think the child has a concussion. Experienced professionals can check the child for symptoms and determine what the next steps should be. Some of the concussion symptoms we look for in urgent care are nausea, vomiting, and balance problems. Parents who think their child has a concussion but doesn’t seem to have any of the usual symptoms should schedule a visit with their primary care doctor. If a child has a concussion but does not receive treatment, what can happen? Dr. John Cheng, M.D. : First, the proper treatment may not be provided. Depending on how severe the concussion is, the child may need to be sent to an emergency department or a specialist. Concussions need time to resolve and they need to be monitored by a professional who is trained in concussion treatment. If a child with a concussion is not given the appropriate treatment, then they may develop more serious or long-term complications. What are some things parents can do to prevent their child from getting a concussion? Dr. John Cheng, M.D. : Parents can help prevent their child from getting a concussion by using safety precautions. This includes having the child wear helmets where appropriate, such as when riding a bike, horse, skateboarding, on a motorcycle or dirt-bike, hoverboard, and snowboard. Children also need to wear helmets when they are playing contact sports, like football, soccer, lacrosse, and hockey. Even when the child is wearing the helmet, it is important to make sure it fits correctly. Parents should also make sure their children understand how to safely protect their head during physical activities. If you think you or your child might have a concussion, please urgently contact us at 949-360-1069 so we can schedule an appointment.